*Pixels Policy in accordance with ISO Regulation. 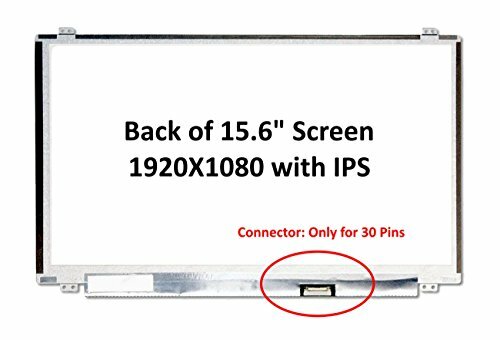 Please match your original screen's BACKLIGHT TYPE, SIZE, CONNECTOR TYPE, and RESOLUTION before you purchase this item, because some laptop models come with more than one type of screens. If you are unsure about which screen fits your laptop, please don't hesitate to contact us. We will be glad to help you find a correct item. We guarantee a 100% working compatible replacement with the same or better specifications or your money back! Please disconnect your laptop power and remove the battery before installation to avoid possible damage to the electrical components. We ensure 30 days free return for any manufacturer defects or DOA. Please note that we might ship compatible models based on stock. For any unsure situation, please contact us. If you have any questions about this product by Fullcom Tech, contact us by completing and submitting the form below. If you are looking for a specif part number, please include it with your message.